It’s November, which means a lot of the Kickstarter projects I backed are shipping. Kickstarter game projects are kind of a crap shoot: most are good, a few are bad, and a select few are excellent. Mostly, I’m attracted to games with new or unusual mechanisms of game-play, or with interesting thematic content. Last year I got a small bonus, and I used it to buy a couple of board games in the “luxury” class (e.g., priced at $100 or more). 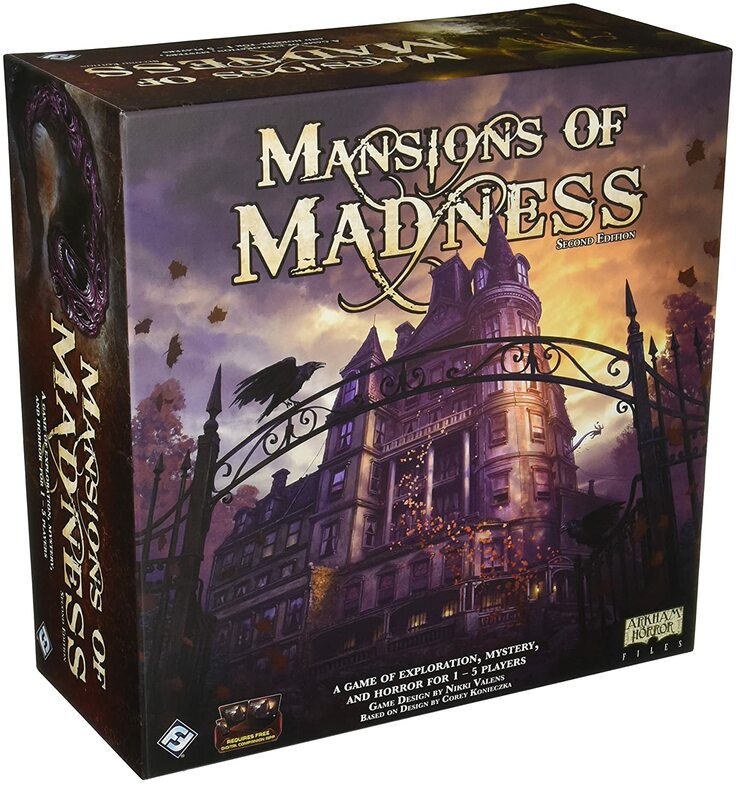 The first purchase, Mansions of Madness, was a huge disappointment, as the replayability and the number of supplied scenarios didn’t justify the higher price. Unfortunately, I was unable to review my second purchase, Gloomhaven, as the release date was repeatedly extended. I ordered it back in March 2017, but the release was pushed out to August, September, November, and then December, but finally it shipped in early January of this year. It’s not all video games, here at OMG-Central. I also enjoy old school, across the table, low-tech board games. My father was a painter. Oils, acrylics, pastels, charcoal, pen and ink, on canvas and on paper. By trade, he was a lithographer, but at home, he was a painter, and that’s how I always thought of him: as an artist. His basement atelier was a cluttered chaos of books and bottles, half-squeezed-out tubes of paint, papers thick and thin, stretched canvases primed stark white, and dusty pots of darkest India ink. The walls around his drafting table were festooned with French curve templates, squares, and straight edges hung on pegs. Teetering stacks of ancient boxes held rapidographs, compasses, dividers, and ruling pens. Old mugs sat here and there, bristling like ceramic porcupines with quills made of brushes, pencils, and pens. I remember clearly the sharp smells of turpentine and linseed oil, and the sound of his artist’s knife scraping against palette and canvas. Sitting with him at the table, it always amazed me how with a few strokes of a pencil he could create an image from nothing, as if he already saw it there on the blank paper, waiting to be drawn. His was a talent I admired, and at which I occasionally tried my hand. My youthful attempts were… well …youthful, filled with dark melodrama and suffused angst. They were very carefully crafted, highly detailed, and incredibly overwrought.